Vancouver, B.C. - The inaugural Big Ticket Tournament kicked off today in Vancouver on the first official day of gameplay of the '18/'19 High School Season. 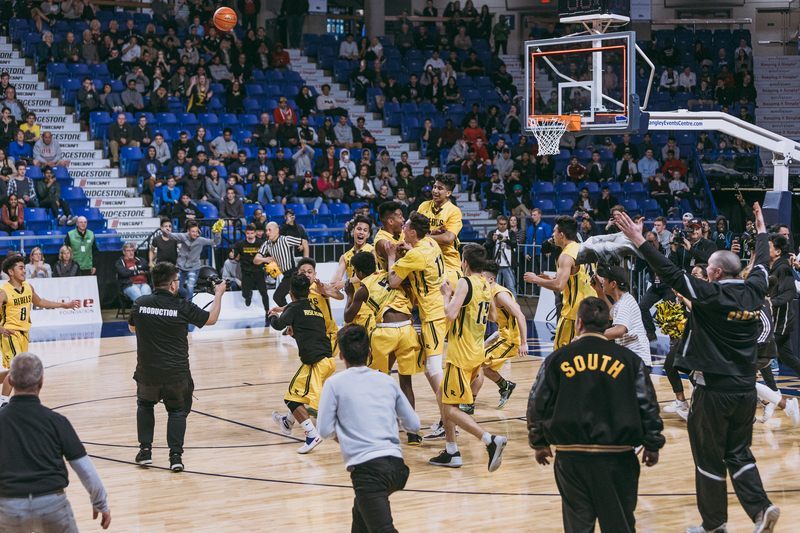 The tournament will consist of 64 teams competing in four divisions that includes senior boys, senior girls and junior boys and junior girls. There will be 16 teams in each division, all playing the first three days - November 26th through the 28th at select high schools in the Lower Mainland. The Big Ticket Tournament will be offering scholarships to graduating seniors, specifically 40 scholarships in the amount of $1,000 to 20 male and 20 female student athletes thanks to Onni Group and Venue Kings. After the inital rounds, the semi-finals and Championship games will all be played at Simon Fraser University on November 30th and December 1st. Each division will feature a strong pool of teams with a number of pre-season Top 10 teams playing their first games of the season. Check-out some of the teams to watch and their opening round match-ups. For the full Tournament schedule and results visit the Big Ticket Tournament website.